Composed by Various. Piano/Vocal/Guitar Songbook. Irish. Softcover. 112 pages. Published by Hal Leonard (HL.311321). 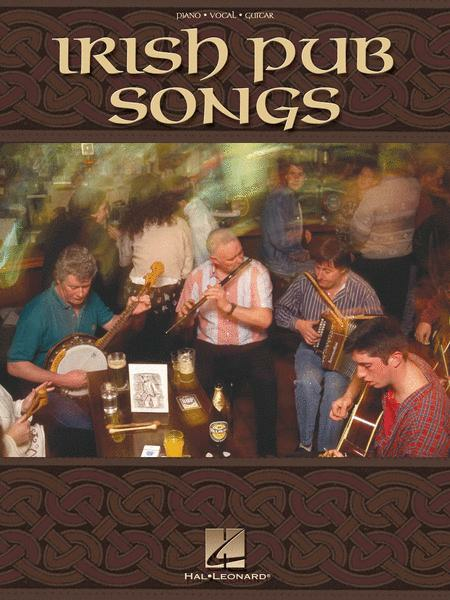 Grab a pint and this songbook for an evening of Irish fun! 40 songs, including: All for Me Grog • Black Velvet Band • The Fields of Athenry • I Never Will Marry • I'm a Rover and Seldom Sober • The Irish Rover • Jug of Punch • Leaving of Liverpool • A Nation Once Again • The Rare Ould Times • Whiskey in the Jar • Whiskey, You're the Devil • and more.